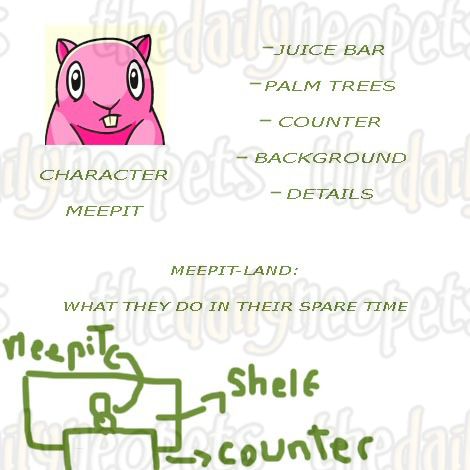 Here's a simple guide to help you understand the type of work The Neopets Team (TNT) accept. This will give you an idea of what they are looking for, what you need and how to do it! You are probably asking whether you will ever get featured. The answer is: you just do not know. There are thousands of applications coming to them. They simply have to do their best to pick the ones that they consider are good quality work. Quality work does not always mean professional. You can get in the Times even if you do not know how to draw, but you need to show that you spent a lot of time creating the masterpiece. As I have mentioned before, it is NOT easy to get in The Neopian Times; however, the Comics section is, in my opinion, the first section you should aim for. You do not need to draw professionally; as long as you can draw something nice and have a good plot, you are on your way! Note: Read the rules and regulations! This is the first thing you should do before you read the following steps. 1) Plan it all out. This is a crucial step because it will save you A LOT of time. In this case, I will be using a Meepit example to explain the process of making a comic using Photoshop CS2. This is just a SAMPLE version that will give you an idea on how to develop your own work. 2) Think about the materials you want to use. Do you want to draw on paper, or on your computer? If you do not know which way to go, I would suggest you draw a simple tree or an apple on a piece of paper, and then draw one on the computer. Now, which method did you like best? If you have picked paper, then it is time to choose which drawing tools to use; it could be a pencil, pen, markers, coloured pencils, etc. If you chose computer, look at the programs you have: MS Paint, Photoshop, or GIMP, and pick one that you are most familiar with. Make sure you read the formats and the sizes The Neopets Team ask you to use! This is extremely important because if you miss a pixel, you can get rejected! 3) Plan a plot and a layout. First of all, you need to pick your characters and your plot. Do you want your Neopets to be part of your comic (highly suggested)? Or do you want to use a Neopet you wish you could have? Now that you have your character(s), think about what the story is going to be about. Take your time and come up with as many ideas as possible. You do not have to make the longest comic ever! A simple slogan can do wonders. For example, you could pick a Meepit and create a slogan that says "MeepitLand: What they do in their spare time?" After that, sketch a simple layout of where your Meepits are going to be and what you are going to have in your scene. Create many versions of this layout, and pick the best 2 that you have. Sketching a variety of ideas will help you bring even more ideas for your final piece. 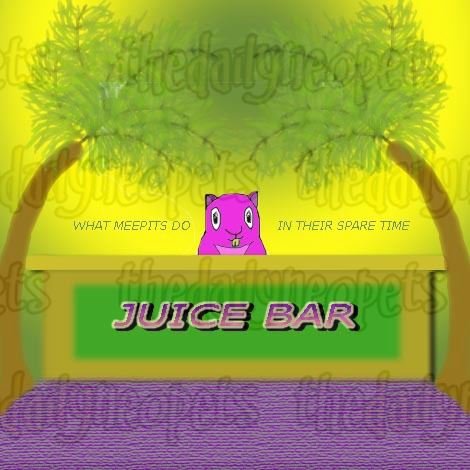 NOTE: Do not copy and paste pictures off the Neopets site. You HAVE to draw your own. Here's a picture of a very simple layout plan that I made. It is to give me an idea of what I am going to have in my scene. I got the picture off the Internet, but instead of copying it into my file, I am going to be drawing it. 4) Design! Think about how you want to draw your characters. Do you want to design a human-like Neopet? 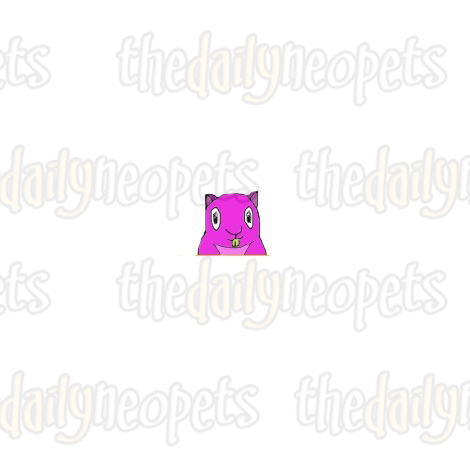 Or do you just want to draw the Neopet in a simple pose? Remember to use your slogan as your reference. After you have chosen, start drawing! Try to come up with simple versions, then once you feel comfortable, start drawing complicated ones. Keep in mind that you do not have to draw too realistically, so I would recommend keeping it simple. Once you are done, do the same as we did before and pick the best 2 characters you have designed. You are almost ready to go! You just have to design your background and other objects that will appear in your comic, but that will not take you too long. HINT: Why not try to show your designs to your best friend or siblings? Feedback from other people helps and will increase your chance of coming up with a good comic that will impress The Neopets Team. Also, try visiting the "How to Draw"? section of Neopets, which is located here . Here's a picture of the Meepit I drew. 5) Put it all together and do the touch-ups. Now that you have 2 different versions, you should be able to decide what you want in your comic. Maybe you do not want to pick one and you just decide it is best to combine them. Or, maybe you just want to add more objects to it. Feel free to do anything you want, make changes and try different combinations. The only limit here is your own imagination! Here's a more complete version of my Meepit comic. I still have to do a lot of details, but I have the overall idea set and ready to go! 6) Save and submit your work. First of all, if you are using a computer program, make sure you save your work as you go along. You do not know when your computer might freeze or when they power might go out, so it's better to be safe! To submit your work, you can go here which will take you the Submission Form page, or you can access it from The Neopian Times located at the bottom right hand corner. Scroll down until you see the "Submit a Comic"? section and click on "Submit your Comic".? Now, just write in the name of your comic, browse to it on your computer and load it, and if you have a thumbnail (you do not have to make one) then also browse it on your computer and load it. You can also write any comments, such as a thank you message, dedication messages, etc. Finally, click on the "Submit Comic" button and done! 7) Wait. This is the hardest part of all because it might take a while to get accepted. Do not take it too hard if you do not get accepted on the first try! It does NOT mean you are bad, but keep in mind that there are so many entries that they just cannot choose every single one of them. Perhaps, think about how you can improve your comic to make it look better, and submit it a week or two after. Remember that there is no guarantee that you will be accepted. The better the comic looks, the more chance you have. Be patient and have lots of fun with this!